Giving Compass offers many partnership opportunities for corporations, nonprofits, foundations and social ventures. You’ll find a sample suite of options below. 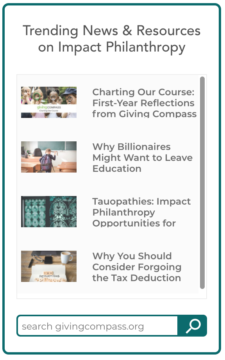 With the Giving Compass widget, you can help your website visitors learn, connect, and take action around causes ranging from education to environment. Get access to vetted impact philanthropy content in less time than it takes to update your Facebook page. Consider this your branded gateway to philanthropy content at no cost. Get a direct custom integration with the Giving Compass API and have access to our interface. Define your own parameters and design elements and extract content from Giving Compass to be presented to your visitors on the page of your choice. The Giving Planner is a free online tool to plan, manage and analyze charitable giving. 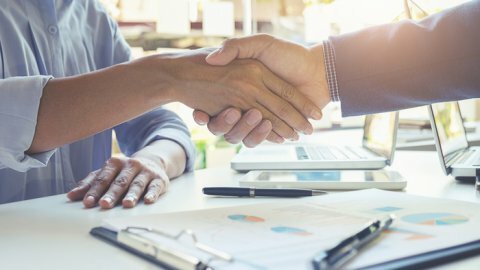 We offer financial institutions and community foundations a unique opportunity to be a market leader with a toolset for the individual donor. A licensing partnership includes a white-labeled solution that is 100 percent managed for you. 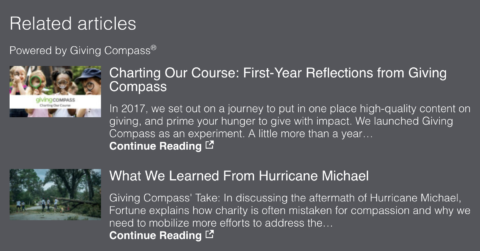 Add a Giving Compass link to your site as a resource for charitable giving or share it with your employees who want to explore trending news, volunteer opportunities and nonprofit organizations. 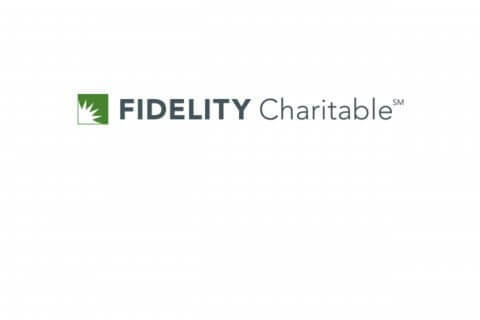 Click here to see how Fidelity Charitable is sharing Giving Compass resources with its customers. Don’t see what you’re looking for? Contact us to discuss other opportunities, such as impact philanthropy content sharing, speaking engagements, donor toolset development, co-marketing campaigns, membership drives and editorial submissions.